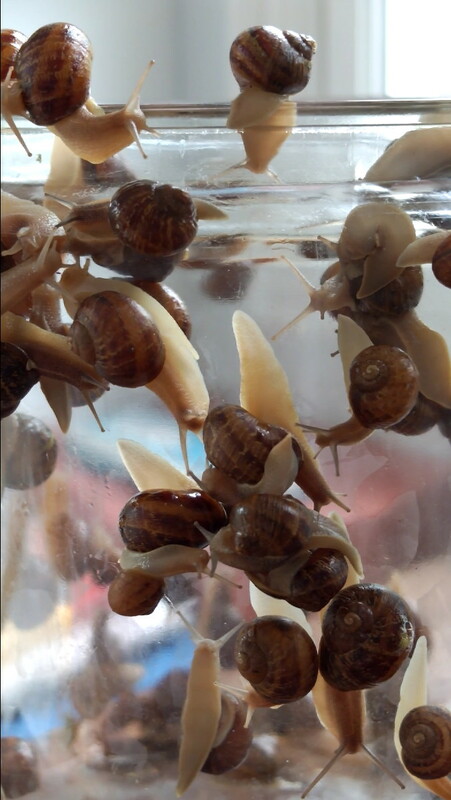 escargot go – Lincoln Ct.
After South San Jose’s rain of June 24, I picked these little guys from our garden. They can put on quite a show if you’ve got the patience for it. Previous Previous post: Dancing Days Are Here Again! Next Next post: 4th of July – Neighborhood Party!